Host your wedding at our flagship restaurant at UOB Plaza, which offers unparalleled city views, or select from a variety of majestic ballroom and restaurant venues at PARKROYAL on Beach Road or PARKROYAL on Kitchener Road. 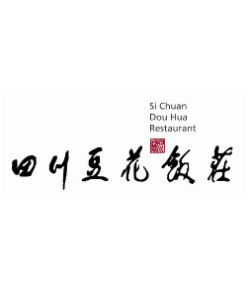 Enjoy a host of privileges when you celebrate your love at Si Chuan Dou Hua Restaurants. With our expertise in Chinese cuisine and a dedicated service team, an unforgettable experience awaits you as we work with you to craft your customised wedding package. Celebrate your special day with your loved ones at the 60th storey of the iconic UOB Plaza, which offers unparalleled 360-degree views of the city and elegant interiors. Tie the knot Si Chuan Dou Hua Restaurant at PARKROYAL on Beach Road, which boasts sleek and elegant interiors with gold and black accents. Celebrate your nuptials in the modern oriental ambience of Si Chuan Dou Hua Restaurant at PARKROYAL on Kitchener Road.